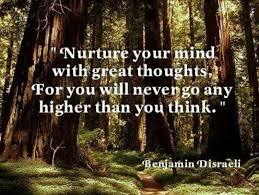 The definition of nurture is the process of caring for and encouraging the growth or development of someone or something. One of the best ways to be successful in taking care of yourself is to spend time nurturing yourself. It is easy in our busy lives it is easy to forget to nurture yourself. Nurturing yourself is one of the best stress management techniques you can do for yourself. This is an important habit to put into your schedule at least weekly or daily if possibly. Nurture yourself can be as simple as making sure you eat meals and snacks every day or as extravagant as daily massages. It is most important that you care for yourself consistently. What do you consider a small indulgence that you could do for yourself? How would it feel if you put 1 hour a on your schedule just for you? Would you actually keep the appointment for yourself?